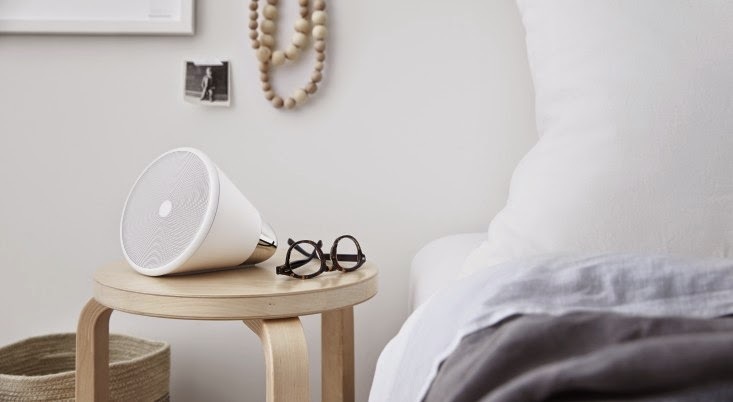 We featured Sonos not too long ago - a modern, portable speaker that syncs to your playlists and can be controlled by your phone. 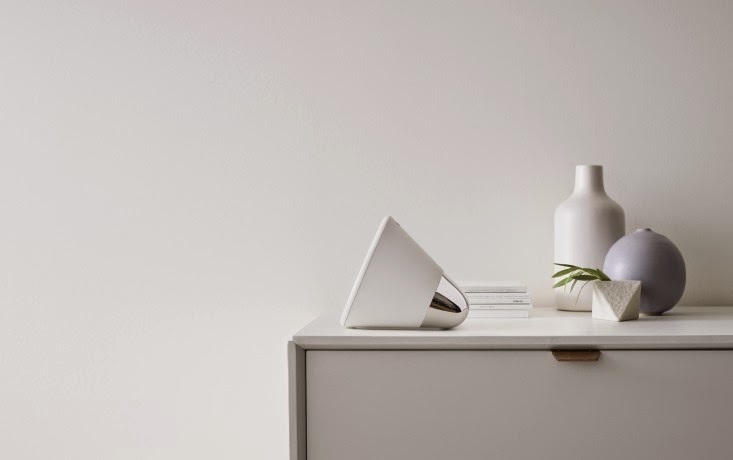 Well, now there's the Aether Cone, which works directly with Rdio for music (though you still have the option to sync it to your own playlists) and responds to voice commands. "You tell it what you want to hear and it plays your request, followed by a variety of artists, songs, and other audio that aligns with what you've selected. Or you can listen to one artist for as long as you'd like" explains Remodelista. It was reviewed recently by a self-described decor fanatic who is also a DJ. He reports it works a bit like Pandora as far as learning your preferences, yet plays more than just music (radio stations and podcasts are included). He loved that the unit also played more obscure tracks off a record as opposed to just the hits. The design is great - very sculptural and interesting - and is offered in white/silver and black/copper. It retails for $399 and an unlimited subscription to Rdio is $9.99 per month. 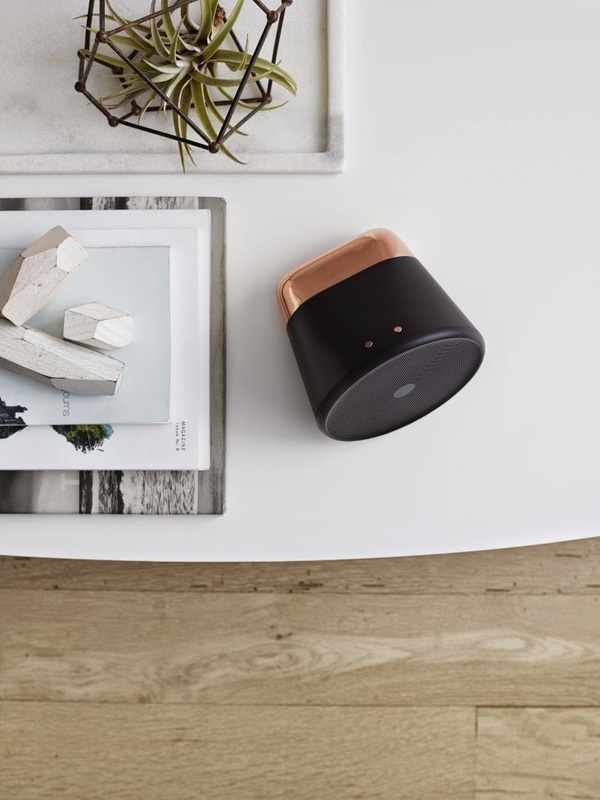 You can read the full review on Remodelista where they've dubbed it "the music player that thinks".